"If, then, a priest has been ordained without a vocation, what must he do? Must he look on himself as lost? Must he abandoned himself to despair? Behold what such a priest must do if he wish to save his soul: “he must lament;” he must weep, and seek to appease the anger of God by tears and by repentance, and to move him to pardon the great sin that he committed in thrusting himself into the sanctuary without a divine call. 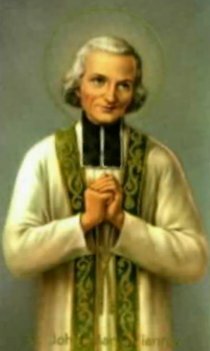 He must, as St. Bernard exhorts, endeavor to attain after his ordination the sanctify of life which ought to precede it. He must change his conduct, his conversation and pursuits. “Let all be holy- your life and your works” (Epistle 27), continues the saint. If he is ignorant, he must study; if he has spent his time in worldly conversations and amusements, he must change them into meditations spiritual reading, and visits to the churches. But to do this he must use violence to himself; for, as has been already said, since he has entered the sanctuary without a vocation, he is but a dislocated member, and therefore he must work out his salvation with great difficulty and great labor. 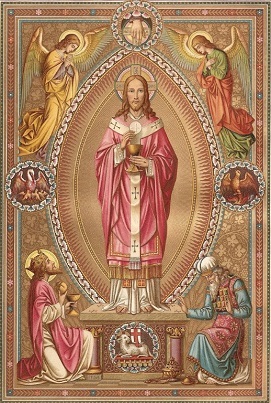 But if, in consequence of having become a priest without a divine call, he is, as has been shown, bereft of the helps necessary to enable him to discharge with facility the obligations of the priesthood, how shall he without these helps fulfill the sacerdotal duties? Habert (De Ord. P.3, c. I, parag. 2) and the continuator of Tournely (De Oblig. Cler. C. I, a,I, concl. 3) say, let him pray, and by his prayers he shall obtain that assistance which he does not deserve. This is conformable to the doctrine of the Council of Trent: “God commands not impossibilities, but, by commanding, both admonishes thee to do thou art able, and to pray for what thou art not able (to do), and aids thee that thou mayest be able” ( Sess. 6, cap. II)"
My God, poor, weak and miserable as I am, I have come to spend this hour alone with Thee, in reparation for the priests who have forgotten that they are Thou chosen souls. Especially, dear God, do I offer this holy hour for the priests who at this moment need it most. In praying for consecrated souls, help me to remember my own utter weakness, misery and nothingness. Were it not for Thou grace, I would be far worse than those for whom I pray.